And yet, 60% of all crowdfunders fail to achieve their goals. So what are the 40% doing right that the vast majority aren’t? After interviewing 200 successful campaigners, we came up with 11 crowdfunding tips to help you reach your goals. So here’s what you need to know on how to fundraise your project like a pro. This will bring you a step close to the mindsets of your customers and will help you position your project from the right angle. A word to the wise, very niche projects don’t work well in crowdfunding. Your target audience needs to be big enough to generate a mounting interest. E.g. if you are bringing a new book on “How to Correctly Feed an Ostrich” you should know that not many farmers are surfing the crowdfunding platforms, not saying about farmers who own an ostrich. But if you introduce a cool table lamp, with a nice differentiating design with a light color and intensity controlling app, you may grab attention of much more people (including the ostrich farmers). So, you have tested your idea and want to start fundraising? Great! But your campaign doesn’t begin on Indiegogo, Kickstarter or any of the other platforms, it begins with market research. Investigate campaigns similar to yours, both the successful ones and the ones that failed. 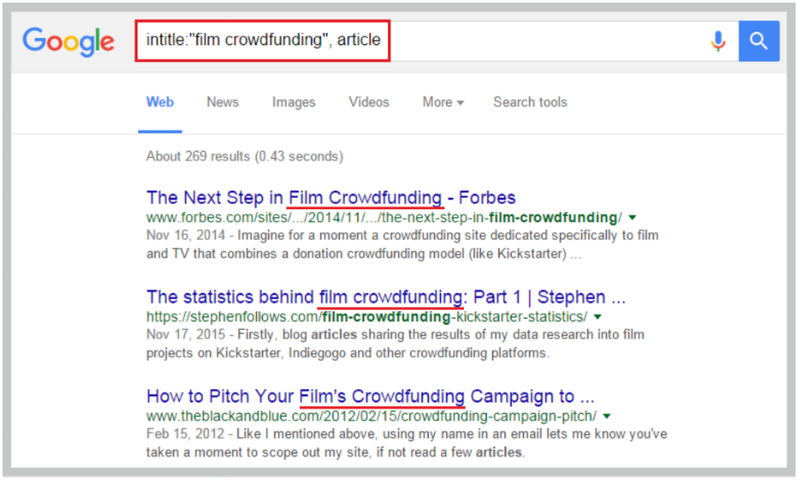 To do this, you simply need to Indiegogo or Kickstarter and search for your topic. You will see a list of projects that managed to raise money — or failed. Click on the projects that are most similar to yours and paste their URLs into Kicktraq.com (this tool only works with Kickstarter projects). Kicktraq will show how much funding the project generated each day. If the project’s funding curve shows steady growth, that could mean that there is an established audience for this particular industry on Kickstarter. To improve your insight into what worked for the successful campaigns (and what didn’t), reach out to the campaign authors who achieved their goals. Don’t be afraid to ask them for any industry-specific insights they might have gained from their campaign. You can contact the author within Kickstarter or Indiegogo by hitting the “Contact” button, or you can open “See full bio” window and you will be shown a Facebook profile, website or email (if they’ve included it). Write to the author, indicating that you liked their project. Say that you are preparing a campaign in a similar industry. If your projects turned out to be too close, they might consider you as a competitor, so don’t mention your niche, just an industry is enough. Here is the email that I’ve used when contacting authors. I am thinking of planning a campaign in (name) category and as you are the expert of this field and have a lot of experience, I’d like to ask you a couple of questions on what’s worked during your crowdfunding campaign. Of those I reached out to, 70% agreed to a short, 10-minute talk on Skype. I asked them about specific actions they conducted and got their tips and tricks for specific activities (i.e., which blogs covered them, the outlets that drove the most traffic, how they reached the bloggers and journalists, how they raised awareness). Done right, this approach will provide a lot of valuable and practical information from your target industry. It should help you understand who your potential stakeholders are. Crowdfunding isn’t seasonal, and there is no ‘best time’ to launch your campaign unless your campaign is about a seasonal product (like Coolest Cooler). That said, there is a rumor bouncing around the Internet that the worst months for crowdfunding are July and August (when everybody is on vacation) and December (when tax season is in full swing). According to a recent statistical insight from Indiegogo, teams raise three times more funds than individuals. So start building your team. If you have 10 people on your team, and they each know 10 more who’ll be interested, and they, in turn, know another 10, then interest snowballs, and you’ll quickly find yourself with 1,000 hot prospects. You can still build a large network if you’re starting alone, but you will find it that much more difficult. If you’re not sure how to begin, then organize a party and make a motivating pitch about your dream. Build your team from your friends and family, like Mike Del Ponte did when organizing a crowdfunding campaign of Soma, a water filter with an Apple-inspired design, which raised $100,000 + in just nine days. Just stick to the people you know you can rely on. Probably the biggest difference between the two platforms is their approach to money and when you get it. Kickstarter releases funds only after the campaign reaches its fundraising goal, Indiegogo provides you with an opportunity to choose between receiving funding as it comes in or waiting to see if you hit your target. As a campaigner, it is much less risky to go with flexible funding (i.e., getting funds immediately), but don’t forget that you have to deliver on your promises, regardless of what you raise. From a backers standpoint, fixed funding (all or nothing) is way more attractive and comes with a lot less risk, so bear that in mind when making your decision. After the funding scheme, this is the second most important difference between these two heavyweight champions. At first, Kickstarter was available only in the US, then it enlarged its borders to include Canada, the UK, and Australia. Now it is available in 18 countries. Indiegogo is available everywhere (officially in 224 countries) and misses out maybe a couple of villages in Siberia, which is why it got the point. The media loves, so it does get way more coverage than Indiegogo. The reason for this infatuation is Kickstarter’s strict quality controlled image. They deliver higher quality products so journalistic types don’t have to wade through campaign after campaign of rubbish to find a story. This means that, on Kickstarter, your campaign has more opportunities to garner a bit of press coverage. 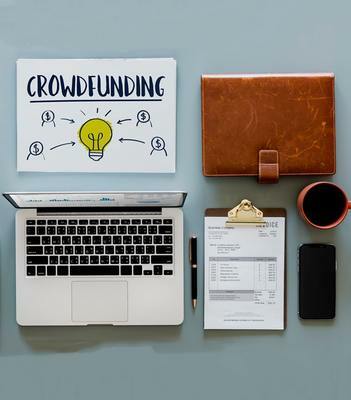 It’s also worth noting that the culture of the different crowdfunding platforms varies somewhat, so it’s important to clearly understand your audience. If they’re more likely to opt for one platform over another, then you need to take that into consideration. 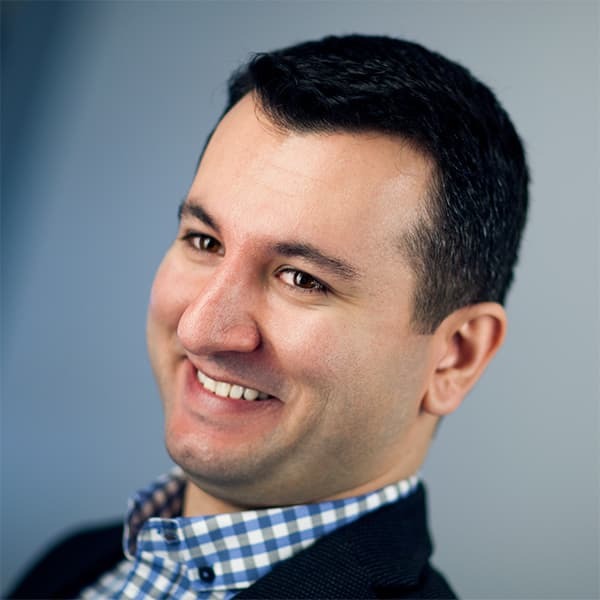 Familiarity breeds confidence and makes visitors more open to pledging. So how do you know which platform is likely to be a better match for your audience? Generally speaking, you’ll tend to find more artists, musicians, filmmakers, geeks and techy gadget makers on Kickstarter. You’ll see more small businesses, controversial ideas, NGOs and mass manufacturing at Indiegogo. The demographics between the platforms also vary. Indiegogo has a more female-friendly audience and gets more traffic from Facebook than Kickstarter. So, before you decide which platform to choose, carefully examine your project’s category, marketing strategy, costs, appropriate funding schemes and goals. It is worth to know that the platform will not do the job alone and you have to put the work in if you want to be successful. Emails will be your main form of communication, so you need to build an email database of subscribers. Remember, most of your results will be derived from your emails, so you need to start collecting those addresses right now. One of the easiest ways to collect email addresses is to create a landing page — a simple page with your pitching video (take a look at the some of the best Kickstarter videos here) and photos. The purpose of this page is to explain why you are doing that campaign. At the bottom, you should offer something in return, a bribe for an email (i.e. enter your email to subscribe to updates or get a free ebook or other project related materials). Your database is your success and the bigger it is, the more chances you have. We will discuss how to contact the media later on in this article, but for now, let’s see what you can do with your personal network and subscribers. Create different email templates for these three categories of contacts. When sending emails to your hot group of people, ask them both to back your project and to share it with their networks. Ask your warm contacts to either back or share your project and your cold contacts mainly to share your project with their networks. This way you will concentrate each group’s attention on things they are more likely to perform. This way you will get the maximum benefit from your personal contacts. Use Headtalker to make a coordinated social media effort. It’s a tool that allows a single message to be mass-shared (flash mob-style), so it rises above the noise of your social networks. 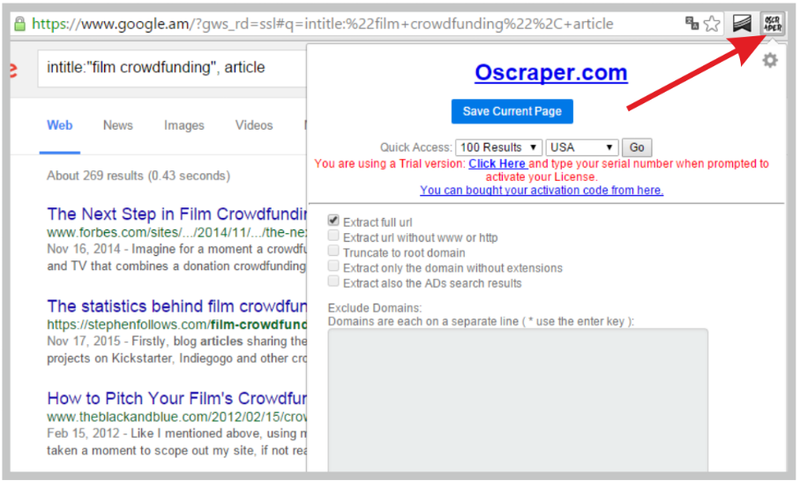 Launch a Headtalker campaign a week in advance of your crowdfunding campaign. This will allow you to send out a social media message about your campaign on your launch day to over 100,000 people. If you can sign up enough people, Headtalker can become a great tool to amplify your reach even further. So why are we doing this? Because we want the names of journalists who write about projects like yours. And we want the famous ones, so sort your results according to their popularity. A good measure of page’s popularity is Page Authority Score (a measurement from 0 to 100 on how well a specific page ranks on search engines). To check the page authorities of all your results in bulk, use 99webtools.com. Open an Excel spreadsheet and paste the results. Filter the results according to page authority, and you’ll get all the articles you’ve found ranked by popularity. You can also use the Google News API to broaden your search. 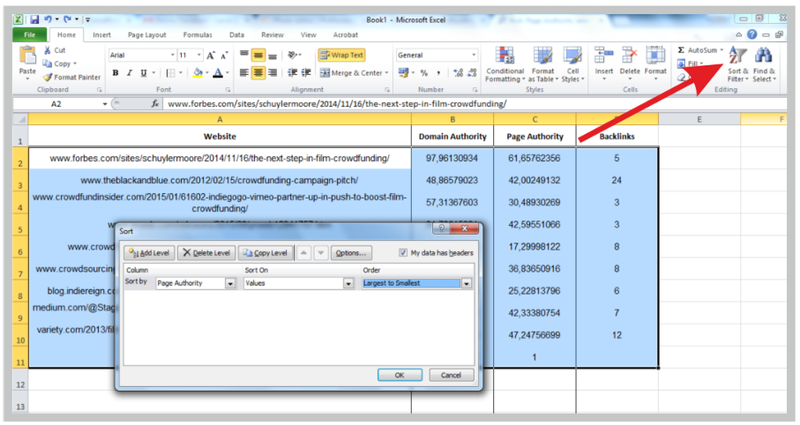 Open this custom-made tool, search for a keyword and download the results to a CSV file. Filter the results according to page authority, using the same techniques described above. I also highly recommend websites like Ninja Outreach, Buzzsumo, Muckrack, and Grouphigh, which offer paid tools to help you find targeted journalists and bloggers ($29, $99; $179 and $450 respectively). Each one provides 7-14 day free trial periods, although you might have to negotiate a little with Muckrack and Grouphigh to get your free trial, it is definitely worth it. Make your story newsworthy. The fact that you decided to fundraise money through crowdfunding is not news. Most stories have several angles that make them newsworthy. Most of the time it can be an angle that centers around the founders, the technology, user benefits or current trends. As an example, look at the media coverage of Grove Ecosystem. While Agritecture concentrated on their harvesting process, Engadget covered the technological side of a campaign, and Business Insider was more interested more in the story of a startup and its founders. The best time to contact the press is just after your start when you already have some backing and have some credibility for the media to speak about you. Of course, if you have good relations with a journalist, you can write to them before your campaign launches and agree to ask for an ‘embargo,’ which prohibits journalists from writing about your campaign until a set date.